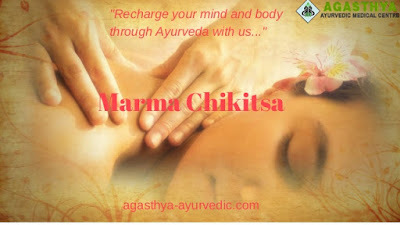 Marma Chikitsa is one of the prominent ayurvedic treatments that heals the entire body. “Marma” denotes vulnerable points and a normal human has 108 marma points. All the marma points are present in nerves, muscles, bones and joints. A system called Nadis in which the pressure is applied in the marma points to regularize the energy flow by eliminating blocks. How is Marma chikitsa performed? Marmas are generally massages done by using medicated and herbal oils. Oil therapy is prime in this treatment. Marma chikitsa is effective to treat neuromuscular and orthopedic problems. All kinds of Paralysis and musculoskeletal deformities are corrected successfully with such a holistic therapy. There are numerous advantages acquired by this treatment. immunity development, healthy skin, improved digestion, relief from anxiety, stress, depression and anger, total detoxification are its benefits. 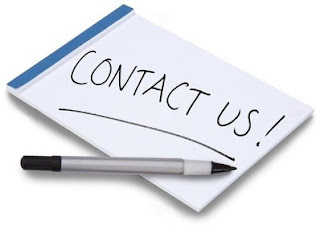 Agasthya Ayurvedic Medical Centre, is a credible and the best ayurvedic centre that provides Marma chikitsa in Kerala. They also provide treatments for bone and neurological related problems like disk bulge, sciatica, tennis elbow, Paralysis, hemiplegia, paraplegia, motor neuron diseases, etc.